Home / Über WP.eu / What's new? 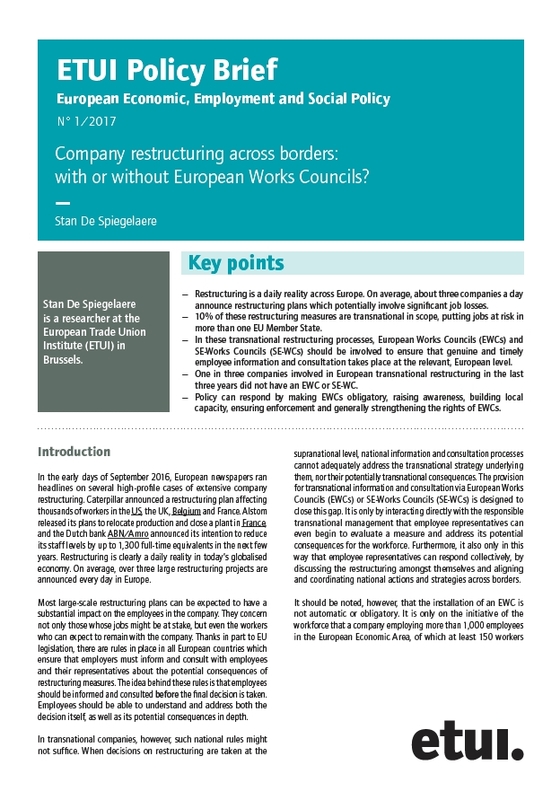 / Company restructuring across borders: with or without European Works Councils? How widespread is transnational restructuring in Europe? What is the role of EWCs in restructuring processes? How extensive is the transnational information and consultation coverage in companies involved in transnational restructuring? The authors present several policy recommendations including the need to make EWCs obligatory in companies of a certain size and provide them with better material, legal resources and access to expert advice. You may also be interested by Stan de Spiegelaere's blog post on Euractiv on the same topic.